Courses vary depending on conditions, each race night has a short and a long course. 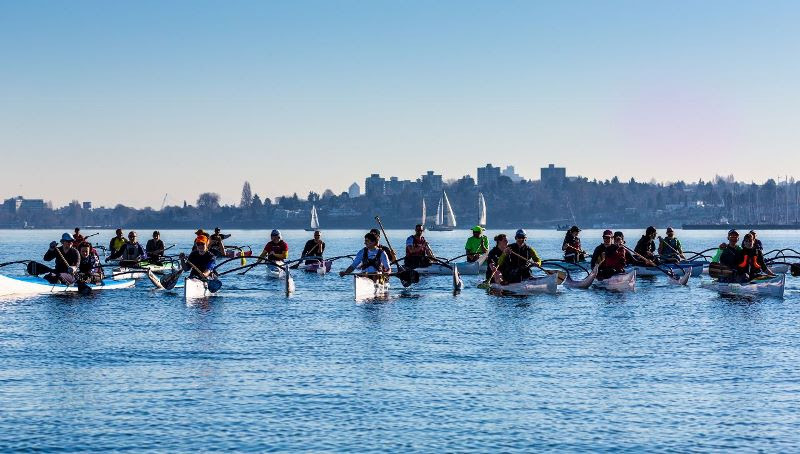 Race entry is just $5, and for Jericho Sailing Centre members it’s free! Post race nosh and beverages upstairs at The Galley Patio & Grill where racers will receive a 10% discount on race night, catch the sunset from the best patio in the city! PFD’s an d leashes are mandatory! Paddlers racing without these vital pieces of safety gear will get an automatic DQ, no exceptions! Safety leashes, PFD’s, SUP’s and wetsuits are all available to rent from the Windsure concession here at the Jericho Sailing Centre.